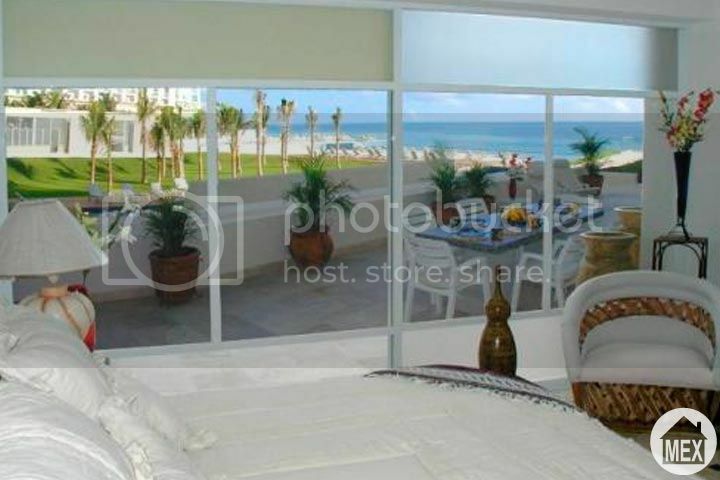 You are here: Home / z Other categories / Cancun Oceanfront / What would you do with a million dollars? Every once in a while the song comes into your head… “If I had a million dollars!” It is a thought that we think of from time to time. So what would you do with a million dollars? Would you renew your wardrobe, hire a personal trainer, stop working and volunteer for a charity; or would you buy yourself a beautiful beachfront property in Cancun where the water sparkles and the sand melts into your feet every day for the rest of your life! If you have ever dreamed of living on a perma-vacation, Cancun is one of the top destinations for American and Canadians to purchase beachfront property! Even better, is that you can own beachfront property with our without a million dollars! The Caribbean sea is for everyone; not just for the rich! Do your Benjamins add up to a million? If you do happen to have a million dollars on hand I would love to showcase a very attractive property in Punta Cancun (the point of Cancun) where the ocean meets luxury and style at its best! 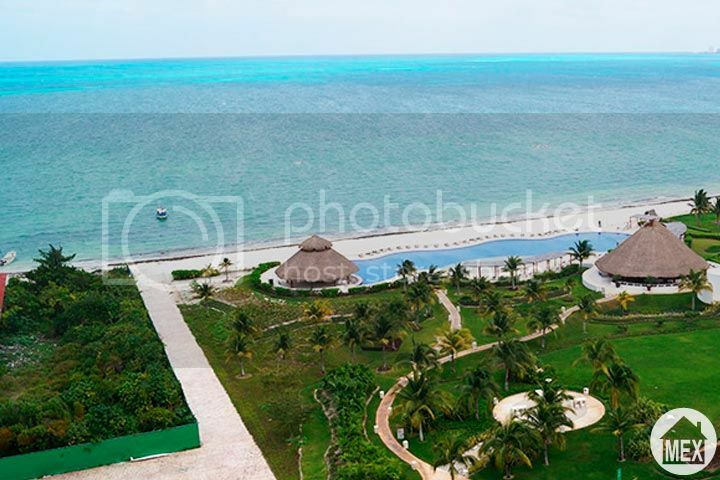 This incredible 1st floor beachfront property in Cancun is right smack in the center of the hotel/tourist district of Cancun, which means you are surrounded by the best restaurants, entertainment, nightlife and shopping! Not to mention that you have 2 incredible swimming pools and turquoise blue ocean right outside your door! 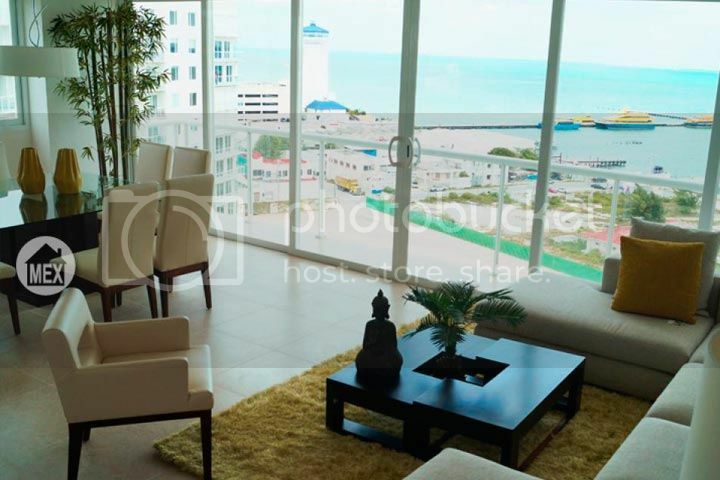 Inside this 3 bedroom beachfront property in Punta Cancun you can find sheer luxury with modern finishings, granite counters, top quality appliances, and large windows to give you an exceptional view! Don’t have a million bucks? Well, what if I said you don’t have to have a million dollars to enjoy living in a luxury beachfront property in Cancun! What if I changed the song to… “If I had three hundred thousand dollars” or “If I had one hundred and forty two thousand dollars”? Yes, I said it! You can do it at Amara beachfront Condos in Cancun. Amara condos Cancun offers quality luxury living for a fraction of the “expected” price. Residents enjoy top notch modern finishings, incredible ocean views, exceptional resort style amenities, a huge swimming pool, gymnasium and on site activities. Beachfront property in Cancun IS affordable! Most people don’t realize how inexpensive luxury real estate is in Cancun when you compare it to homes for sale in the United States or Canada. This is essentially among some of the biggest reasons why so many people are choosing Cancun and the Riviera Maya for their number one choice retirement destination! Either way you decide to slice the cake (Million dollars or not) purchasing a beachfront property in Cancun is a smart and solid investment! If you don’t want to use your Cancun home year round, you can easily put money right back in your pocket; since beachfront properties are rentable all the time! Cancun is still one of the number one vacation destinations in the world and with that kind of demand you can earn a significant rental income when you aren’t using your property. Have I got you thinking? For more information about beachfront properties in Cancun contact a reliable Mexico real estate agent with credentials and good references.